Thanks for Remembering | "Northern Crossings"
People celebrated Veteran’s Day yesterday and it was also my birthday. Thanks to all those who remembered my birthday yesterday. I even got a late night serenade of the birthday song from some merry pranksters who shall remain nameless. Anyway I have a pop up Prayer list that comes up at various times with lists of various folks and groups. Three days ago chaplains came up. I have the great honor to sign the call documents for military chaplains that go into service. The list pops up November 10 because that is Luther’s birthday. Luther was baptized the next day at St. Martin’s church in Eisleben Germany, and just like the church named after Martin of Tours. That Martin was a Roman soldier who became a Christian and is especially remembered for taken his sword and cutting his cloak in half and sharing it with a freezing begger. This act was remembered and all kinds of interesting powers were given to the cloak because of the supposed gift of mercy given to “St. Martin”. The cloak was sometimes carried into battles and them priest who cared for the cloak was called a cappellanu, and ultimately all priests who served the military were called cappellani. The French translation is chapelains, and hence the English word chaplain. Small huts that served as temporary churches built for the cloak were called “capella”, the word for a little cloak. Eventually, such small churches lost their association with the cloak, and all small churches began to be called chapels. So thanks for remembering my birthday and helping me remember the ways I remember certain things like setting aside time to Prayer for chaplains. 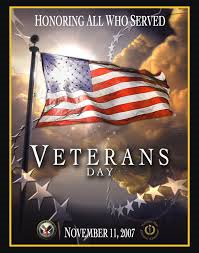 God bless them all as we also celebrated Veterans Day. Mercy and Being a “Lord”.